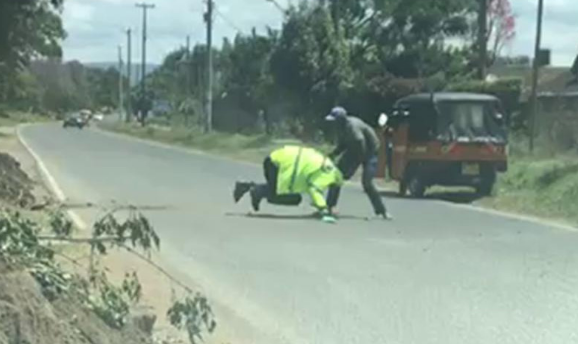 A Tuk Tuk operator from Nakuru has been trending for a couple of days now after he gave to traffic police officers a merciless beating following a heated disagreement. The altercation, which was all captured on video, immediately shot up on trending lists as Kenyans tried to justify the two parties. Speaking to The Standard, the operator shared that he was angered after the two cops broke his side mirror and windscreen for no reason. “The officers had stopped two other tuk tuks and I could see them receive money. They saw me approach and one signalled me to stop.” he said. He added that after he slowed down and just when he was about to stop, one of the officers smashed the windscreen and side mirror and it angered him. “I got annoyed and demanded to be given answers, as they tried to intimidate me, saying there was nothing I could do to them. I decided enough was enough and had to fight what I believed to be unjust and unfair cops who were intimidating me because they were in Government uniform. “We exchanged blows and after I overpowered them, they picked stones and hurled at me.I had to get into my tuk tuk and try to confuse them by changing direction. I completely lost my mind because of the injustice, which was being meted on me by police officers whose interest was the bribe,” he said. 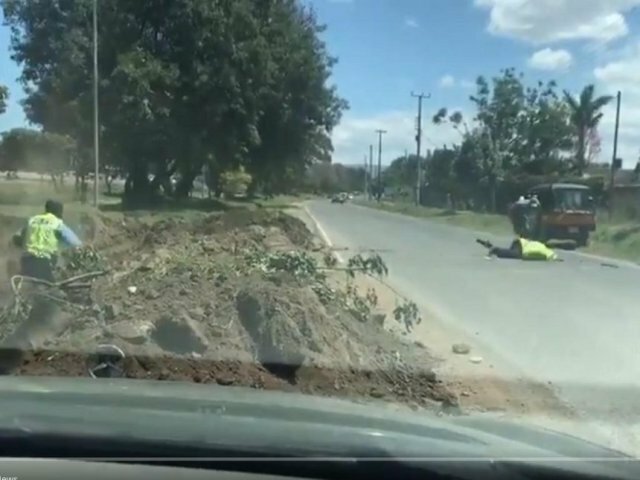 The Tuk Tuk driver was taking two passengers to Nakuru town when it happened.